GS CUSTOM BULLETS - The Fisher Family Hunt. 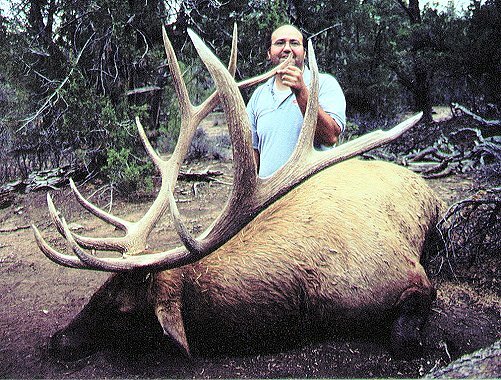 The first picture is my brother Kuhia Fisher with his trophy Utah Bull Elk taken Sept 25, 2002. It was shot at 440 meters with a .340 Weatherby loaded with GS Custom 200 grain hv bullets. The distance was measured with a Leica geovid laser range finder after the fact. 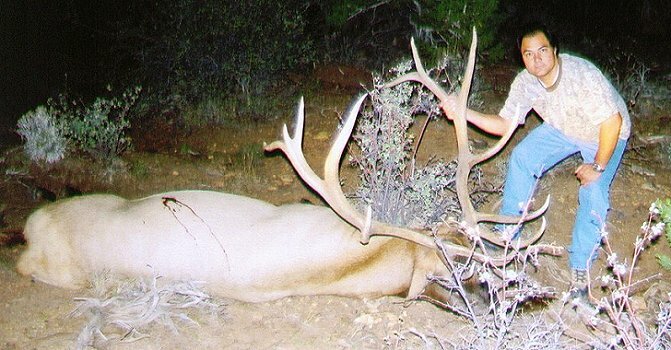 The next picture is me with my Utah Bull Elk taken Sept 9, 2002 with the same .340 Weatherby. The bullet entered the right shoulder and exited the last rib (you can see the exit wound in the pic). The first question the butcher asked when we skinned the elk, was what kind of bullets I was using. He said he had never seen a bullet exit so cleanly after hitting the shoulder of an elk. 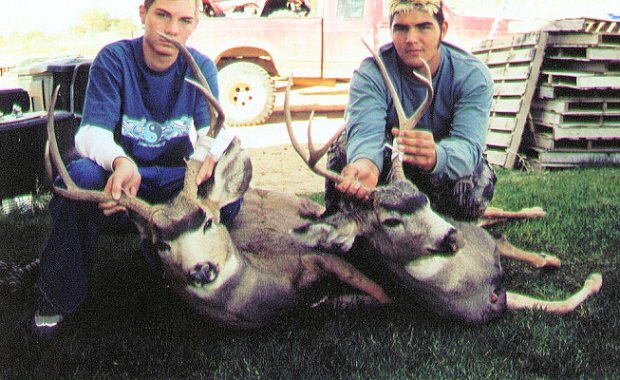 The final picture is of my two sons Ian and Adrian with their mule deer bucks from this season. They were both shot with a 25.06 and GS Custom hv 100 grain bullets. 25.06-Ruger M77 stainless factory rifle with 24" barrel, Winchester brass, CCI 250 Magnum primer, IMR 4831 powder 57 gr, and GS Custom HV bullets 100 gr at 3400 fps. .340 Weatherby-Weatherby Mark V synthetic/blued factory rifle with 26" barrel, Weatherby brass, CCI 250 Magnum primer, Alliant RL22 powder 91 gr, and GS Custom HV bullets 200 gr at 3250 fps.